Polydor-signed LANY celebrate selling out a 5k. 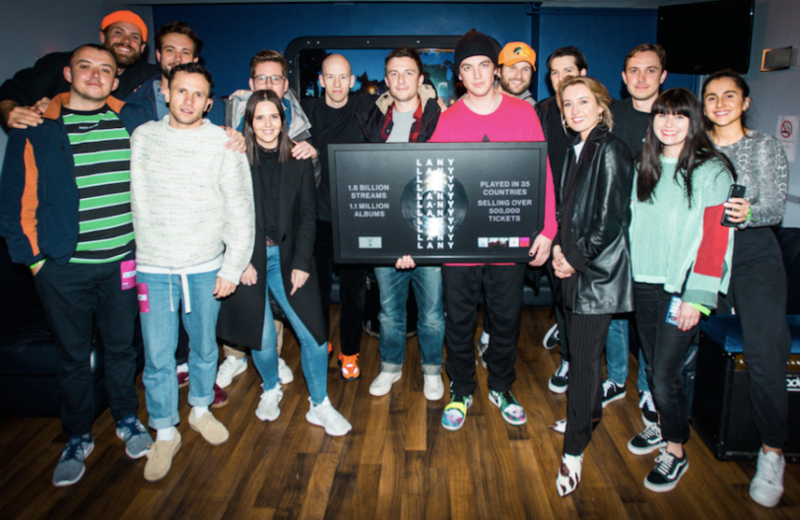 cap Brixton Academy show in London earlier this month with a special plaque from their British label, outlining the band's 1.8bn streams, 1.1m adjusted album sales and 500k tickets sold across 35 countries. Pictured amongst the happy faces are manager Rupert Lincoln and Polydor co-President Tom March, who, after much deliberation about the state of Blighty in the pub, are now both in the running to replace Theresa May as PM.